The order of the attractions started in the city center and goes towards outside areas. 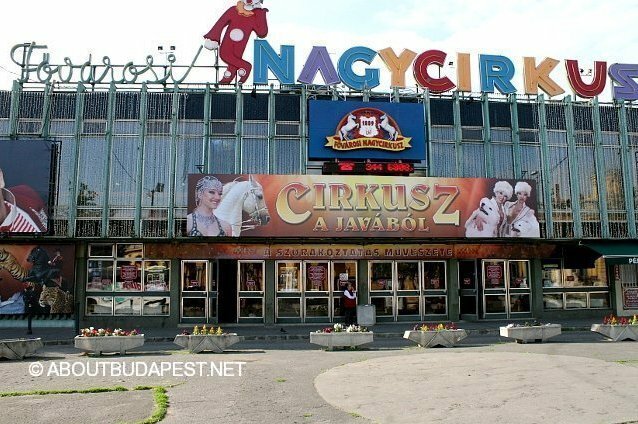 The first spot is the Varosliget City park behind and beside the Heroes square at the end of the Andrassy road where there are plenty of attractions can be found which can be interesting for children. Baby goat caress, Rollercoaster ride, Escape room, Enchanted Castle, Pony ride, Merry go round, Miniature electric train, Crocodile playground, Vintage shooting gallery, House of Monsters, Face painting, Sand magic, Water walking ball, Archery, Guinea pig city, Fairy tale train, Footsteps of the explorers. Some of the programs only available from May. Most program is free and some of them like the Puppet theatre for example has some fee. If you want to check everything in the zoo and the Holnemvolt park (same ticket but separated area of the former Amusement Park) it can easily be a Full day program. Some places English explanation is missing (and not many people understand Hungarian), which is a thing to improve in other places as well. also in the Varosliget city Park. The aviation museum is located in different building at the top of Petofi hall. Both are little bit farer corner from Heroes square. 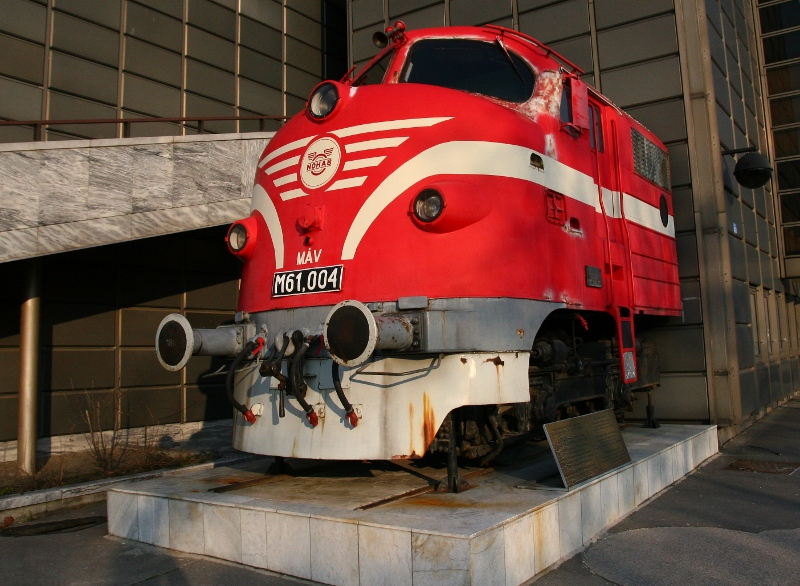 In the Traffic museum there are old cars, carriages, motorcycles, boats and trains can be seen as well. There is a running miniature train as well. A first Hungarian astronaut’s cabin is also can be seen here. The museum is huge, with several levels. Not many cars though, there are some in the outside area. For small kids perhaps not interesting enough. 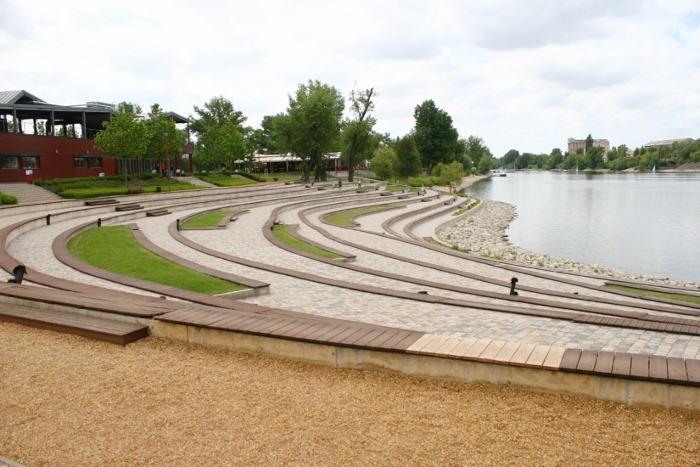 in the City Park can be found near to Heroes square as well as the Holnemvolt Park next to the Zoo. This is a classical circus with clowns, acrobats, jongleurs. For the morning performance there are usually fewer people, but in the evening there are much more. Currently many artists from different countries like China, Switzerland, US, Germany, Italy, Ukraine, Ethiopia, Russia. is a good option. 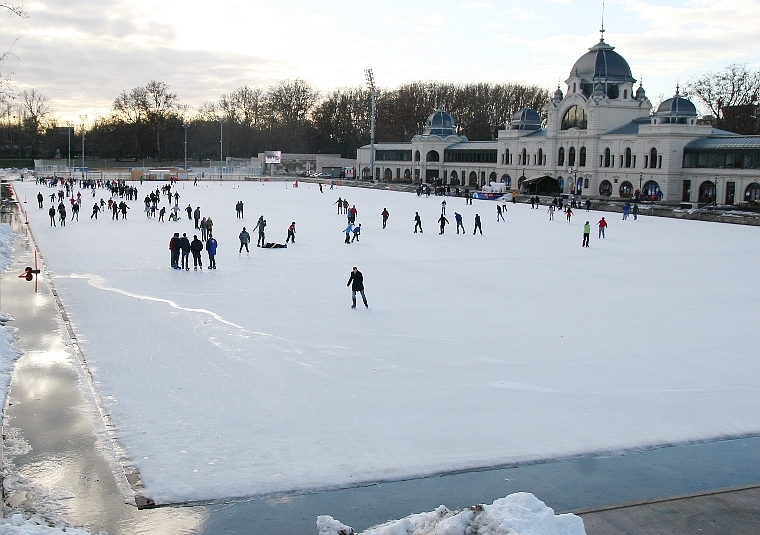 The ice skating ring can be found in the City park Varosliget next to Heroes square. In fact it is a boating lake usually in summer, and the Lake is continuing around the Vajdahunyad Romantic Castle, and to the Citypark lake which is usually packed with all kinds of waterbirds like ducks, gulls, cormorant. Until this is the City park area. The Margaret island is a lovely place with huge trees, small zoo, vehicle rent, japan garden, interesting ruins, open beach, running line, ice cream. The island is located near to the city center, it can be accessed by tram (4,6) from the Main avenue of Budapest. The Margaret island located between the Margaret and the Arpad bridge, and can be accessed from both sides. The usual way to go there from South direction through the Margaret bridge. (the Arpad bridge is little off center). The tram stops at the middle of the bridge, after under the bridge we can access the island. Also a bus No 26 goes there from the Main avenue. First there is a road which connects to the inner parts, left side some sports fields can be found. After 300m walk we arrive to the recently renovated Fountain with Music. Around and behind there is a huge green area to have fun. In the island different kind of 4 wheel vehicles can rented, which the children enjoy very well (electrical, manual). No normal traffic allowed in the island, but some car can appear (the people work there). Little further in the left part of the asphalt road, the Palatinus beach can be found. It is the most popular open bath of Budapest. Lots of pools, slides, catering services in a beautiful natural surrounding, next to the Danube. At the right side there is some buffets, a restaurant, a Mini zoo, open air theater and a Japan garden with a Mini lake. The size of the island is 2.5km x 0.5km. The Buda Castle is a Unesco World Heritage site in Budapest. It can be interesting for the children to get there with a funicular. The small wagons goes to 51m height in 95m long route. There are two wagons with 24 places in each of them. The trip time is 1.5 minutes. There are other ways to go there as well, from Deak square with bus number 16 or the small Bus without number from Szell Kalman square (Moszkva square). The station of the bus can be found upstairs at South direction. From the Castle we can have a beautiful view on the City. There are plenty of them: In the City Park, next to Feneketlen lake, Millenaris Park. 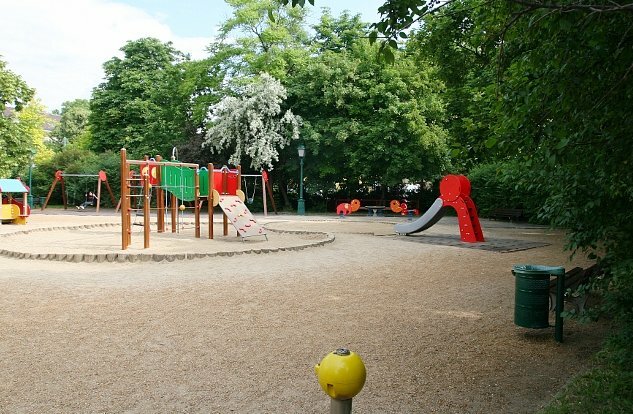 There are 293 playgrounds in Budapest, and the number is growing. Children’s is operated by students in Buda hills with smaller cars. The children’s railway not exactly located in the city center, this program needs several hours. Recommended in summer. is a very interesting place apart from the Annual Music Festival in beginning of August. There are three playgrounds can be found there, the most popular among the kids is the the Rodli small hill with the slopes. Easily can spend the whole afternoon here with the family. The childen are love the open beaches. Below link can find the details of Budapest open beaches. in the Campona shopping center. Little bit outside but interesting place can be reached from Bus no 3 from Moricz Zsigmond square at South Buda. The Palace of miracles made especially for children. is a huge green area between Danube gulf and the Danube at the South part of Buda, 50 Hectare green Park with restaurants and very nice big trees next to the Danube. The alley starts after the parking South side of Rakoczi bridge. 14. Aqua world water park. Huge water park with parts dedicated to children with slides, and other things. 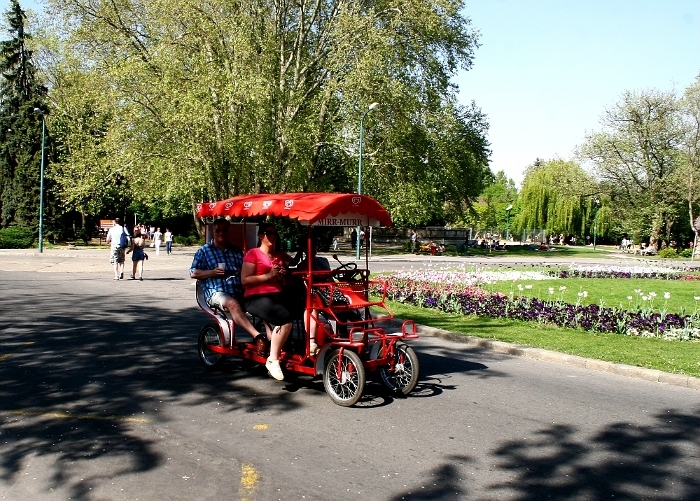 The park can be accessed from Szell Kalman (previously Moszkva) square, with a bus no 22 (red or black both good), must take off at station Szanatorium (Hospital) walk in the street following the tables showing “Vadaspark” 20 minutes walk. With car the procedure starts the same: street “Szanatorium” turn right and goes at the asphalt road until the huge parking at the end of the road. Address: 2092, Budakeszi 0210/8 hrsz. Can be reached by public transportation most easily at the end station of bus no 11 or 21 (different locations). Several viewpoints can be found in the Buda hills. is also a good place with some playground and huge areas for picnic. Can be found at the Buda side of Liberty or Franz Joseph bridge. A playground can be found just near to bridge behind the Gellert hotel with several minutes walk upwards. in the III. district is also an interesting option. Open in weekdays from 14-20h, Saturday Sunday: 9-20h. , arranged childcare can be found, while the parents can have a supper/dinner/shopping together. CSILLEBERC 1121 Budapest, Konkoly Thege Miklós street 21. 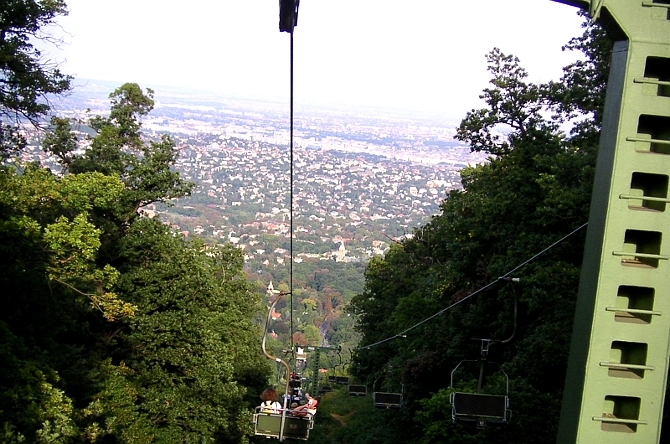 The adventure park located in the Buda hills forest, also can provide programs for groups, company events. – a city for kids where they can learn about the life of adults. The city can be found near to Nyugati train station next to West end. Address: Budapest, VI district, Nyugati square 1-2 Metro City (volt Skala Metro), 2nd floor. 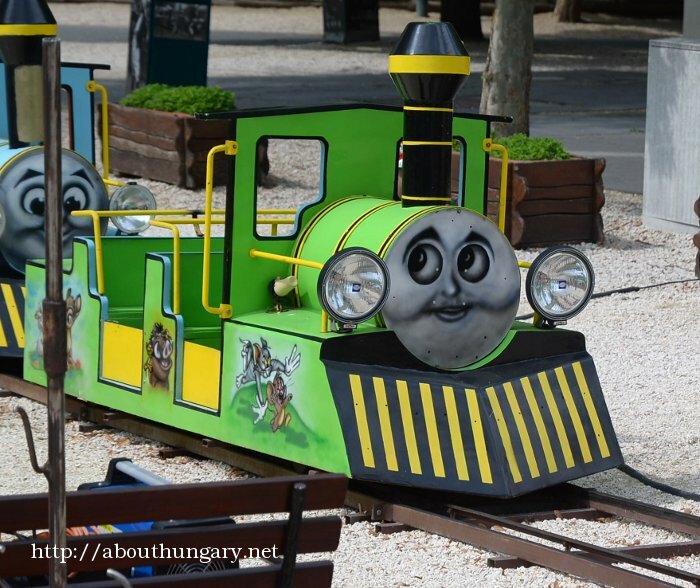 – the park and the buildings are located at Buda side near Mammut shopping center with all kinds of cultural, scientific and other attractions and exhibitions, also with a playground and a small lake with all coloured fishes.